The biggest threat to Zion’s wild bighorn sheep is disease. Without displaying symptoms themselves, domestic sheep and goats can carry strains of pneumonia catastrophic to bighorn herds. Bighorn are curious about their domestic relatives and will often attempt contact with them, which increases the chance of disease transmission from domestic sheep to wild bighorn sheep. When this happens, fatality rates of up to 90% of a bighorn herd can occur, with significantly lower rates of lambing for years to come. With the expansion of the Zion herd, the risk of catastrophic disease had increased. In order to mitigate this risk, Zion National Park, in collaboration with the Utah Division of Wildlife Resources, proposes to transplant desert bighorn sheep from the population inside the park to support other parts of the state’s bighorn population, and decrease the risk of disease transmission and potential for large scale mortality in the Zion herd, while contributing to the success of the regional population. An environmental assessment has been prepared to examine the impacts of this proposed strategy. The No Action Alternative describes current management of the sheep, with occasional flights to obtain population estimates, and monitoring of the population. The park’s preferred alternative involves the use of helicopters (including in wilderness) to capture sheep for disease testing, GPS collaring, and periodic transplanting of a proportion of Zion’s sheep herd to areas outside the park with the intention of sustainably managing the herd size, habitat quality, and potential disease issues. The public review and comment period runs through Sept. 25. 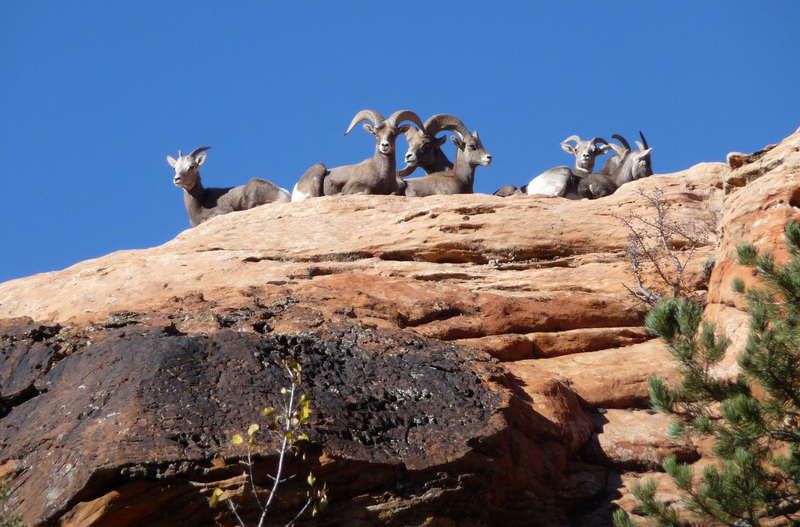 Zion National Park invites the public to submit substantive comments including errors, omissions or additional information to consider in regard to desert bighorn sheep management. Here we go again. They removed a big portion of the ones in the Gorge to re-populate other areas and now you don’t see any, haven’t since they were reduced. The same thing will happen in the Park. Remove a good portion of them and no one will ever see them again for years….if at all.